I want clients to know that we can offer sensible approaches to resolving problems related to a wide range of matters including forensic accounting, litigation and business valuation. Donald (Don) Bays is known for his expertise in valuing businesses as part of divorce settlements. He has testified as an expert witness on numerous civil cases including those involving insurance fraud, economic damages, contract disputes, lost earnings, accountants’ and lawyers’ professional liability and property settlement matters in marriage dissolutions. 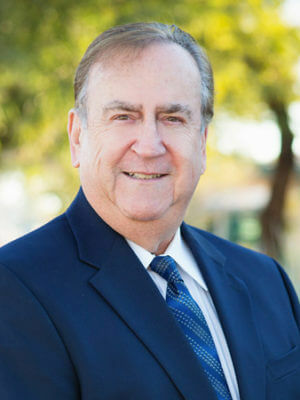 Don has more than 35 years’ experience in public and private accounting and has lectured extensively on business valuation concepts, employee fraud and lost earnings calculations to business owners, bankers, attorneys and CPAs. Before joining Henry+Horne’s Litigation + Valuation Services Group in 1998, Don spent eight years with a national CPA firm in Los Angeles and Phoenix, four years as Director of Internal Audit for a Fortune 500 company with $700 million in annual sales, three years as vice president and controller for a $300 million public company and 11 years with the second largest local CPA firm in Arizona where he served as Director of the Firm’s Audit Services Division. Before becoming an accounting professional, Don spent six years as a police officer and detective with the Tucson Police Department. When he’s not at work, you can find Don playing softball or his guitar. He used to play in a rock ‘n roll band. CPAs who testify – can they be advocates for their clients? Income Determination in Divorce: What Documents Does the Forensic Accountant Review? When should an appraisal of a non-cash charitable contribution be performed? Forensic Accountants: What Makes Them Effective – or Not? What Can A Small Business Do As Its First Defense Against Employee Theft? Testifying awareness: should CPAs who testify as experts be client advocates? Finding Hidden Income in Divorce – What do the Forensic Accountants Look At? Does Your Boyfriend (or Girlfriend) Have a Criminal Past? Divorce Business Valuations and the Judge's Dilemma - What Is the Appropriate Standard of Value? Are You Encouraging Fraud at Your Business? Business Appraisals - What Makes Your Business Valuable? Business Valuation - Is It Just Smoke and Mirrors? You've Been Wronged! How Do You Recover Your Lost Profits?